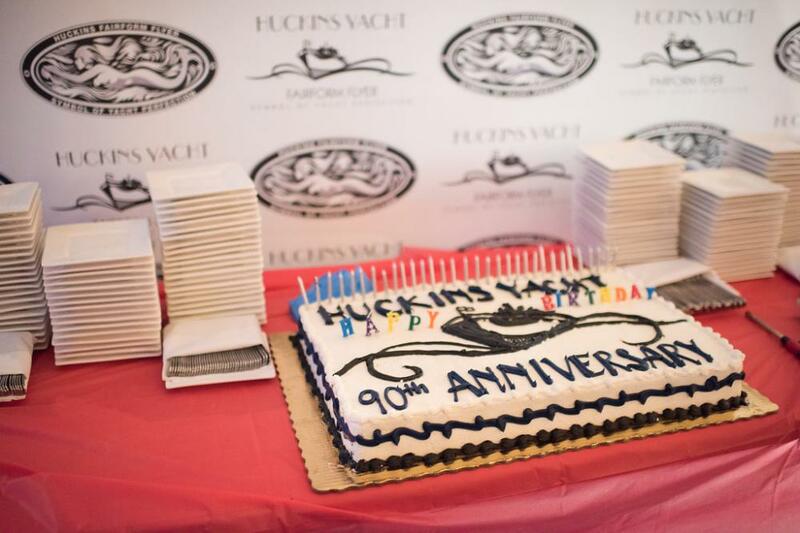 Turning 90 definitely calls for a celebration and that’s exactly what Huckins Yacht Corp. did last weekend, joined by 100 clients and friends. 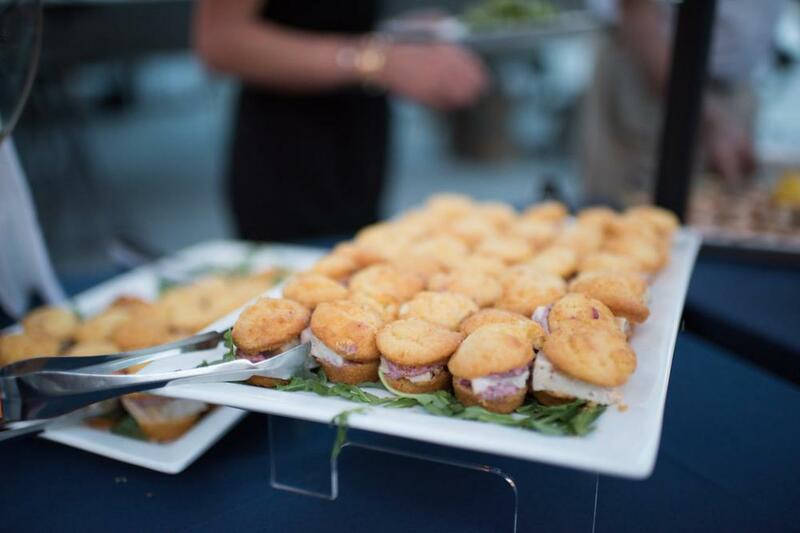 Tabletop displays touted the history of the Jacksonville company, with photos of its earliest yacht designs on each table set for a seated dinner last Saturday, along with silent auction items that included magazine ads from the 1940s and ’50s. 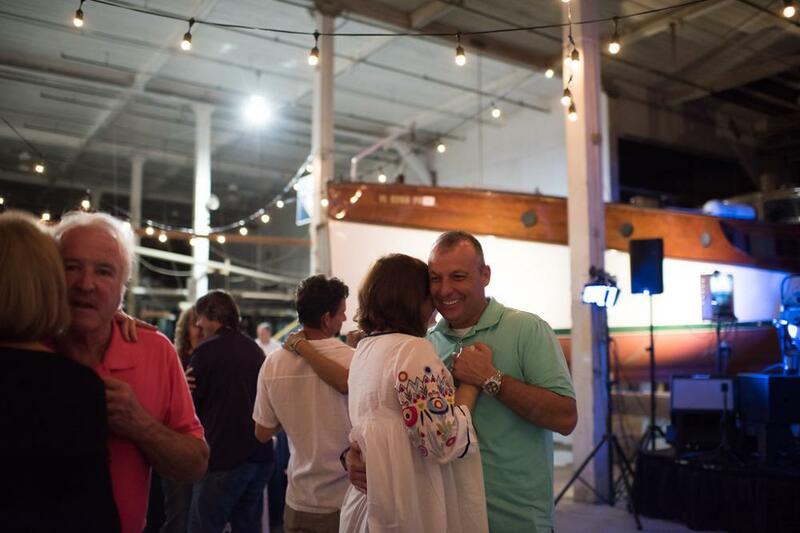 The weekend celebration actually began 2 p.m. the previous afternoon, with more than 15 Huckins’ yacht owners rendezvousing for an overnight party on Black Creek, followed by a dinner party on Saturday at the Huckins plant just off Lakeshore Drive. 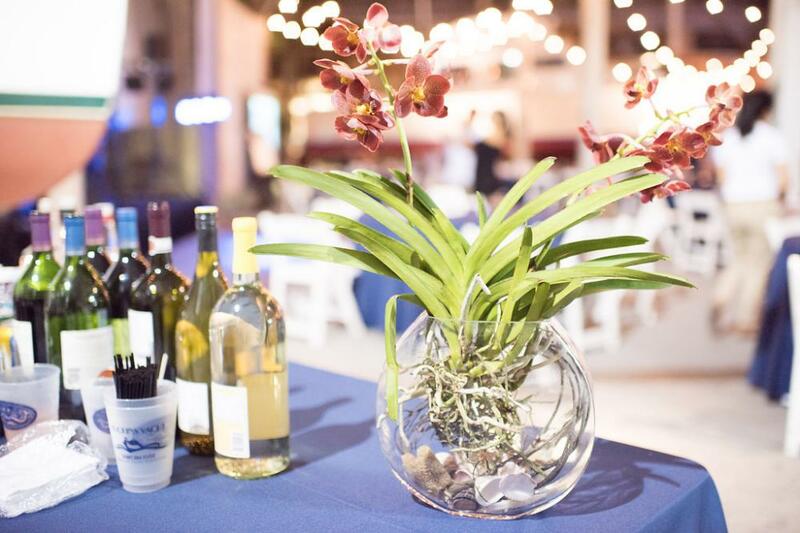 “The staff came up with the décor and did a great job,” said Cindy Purcell, president of the company and granddaughter of company co-founder Frank Huckins. 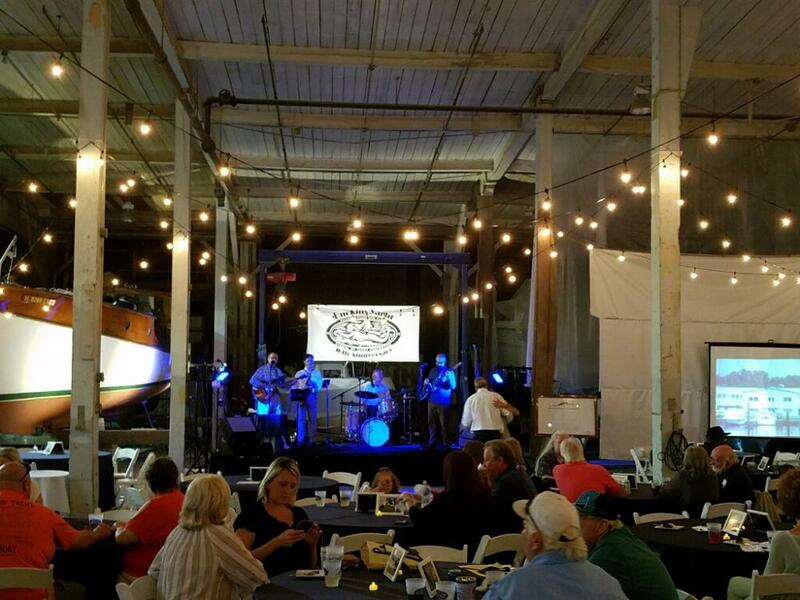 The anniversary celebration culminated with donuts and coffee served dockside at the plant on Sunday morning. 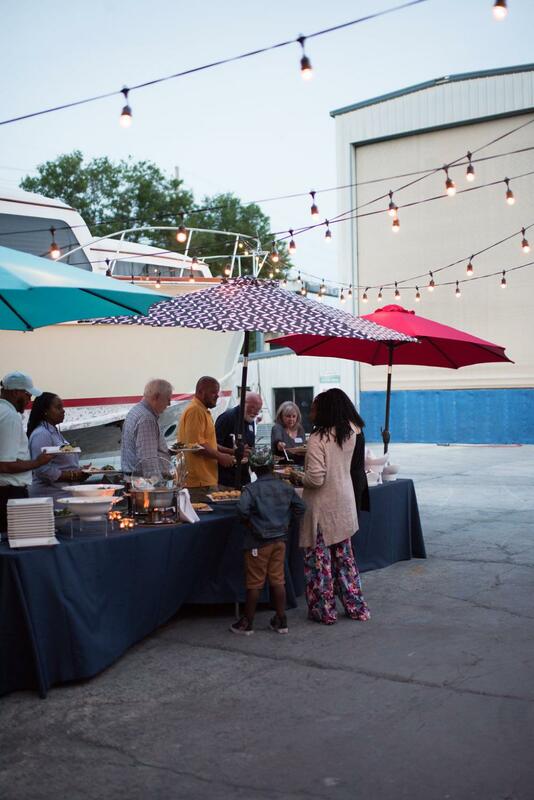 Longtime Jacksonville residents, especially boating enthusiasts and those still who remember World War II, are already familiar with storied-history of Huckins. The company was founded in 1928 by Frank Pembroke Huckins, who is known in the boating industry as the man who created an innovative hull design that allowed seagoing boats to ″plane″ on the water. Before Huckins designed the Quandraconic hull, most boats rode on low, deadrise bottoms that twisted to almost flat in the after sections — which made them incredibly hard-riding. Huckins created the new bottom using complex mathematical formulas to develop four conical shapes and then merged them to create a new hull design. The Huckins hull design had already been used on some of the finest private yachts before the country entered World War II. Huckins invested $115,000 of his own money in modifying the PT (patrol torpedo) boat’s design and had to compete with another boat manufacturer in convincing the Navy he had the best approach. In design trials held by the Navy in 1941, Huckins piloted Huckins’ first PT boat himself during a 190-mile, high-speed competition pitting his PT design against several others. Huckins ended up besting the second-place company in every category, including maneuverability and speed. The Huckins’ PT was used for all PT boats built during the war. In Huckins’ Jacksonville yard, the company built a total of 18 PT boats, all commissioned in early 1943. The company also designed a new balanced outboard rudder that was used on all PT boats — and on all post-war boats through the 1970s. Huckins made monumental design changes that improved performance and saved untold lives of those serving on PT boats. For his contribution to the war effort, the company made a whopping profit of $28.60. Purcell notes that the company also constructed 36 air/sea rescue boats and two aircraft rescue boats — and was among three companies in the Southeast building the so-called “ugly ducklings of World War II” — the Liberty Ships, which were primarily used to transport cargo. 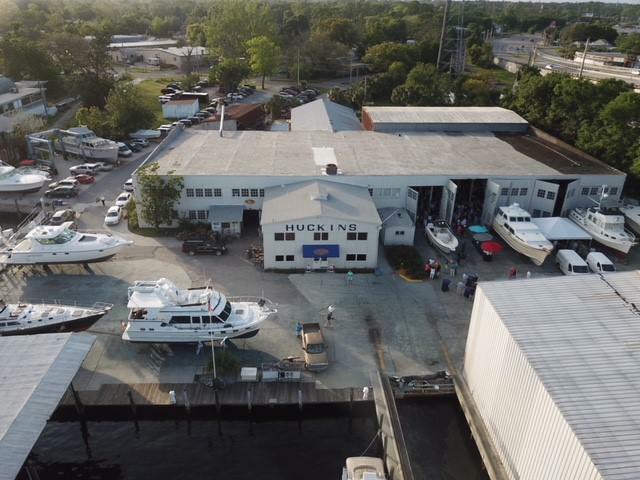 Since that time, Huckins has weathered many economic recessions and major changes in the boat-building industry to continue operations — but the story of how the company stayed family-owned took a very circuitous route. When she married after college, Purcell and her husband went to Alaska, where Buddy was serving with the Army, returning to Jacksonville around 1970. 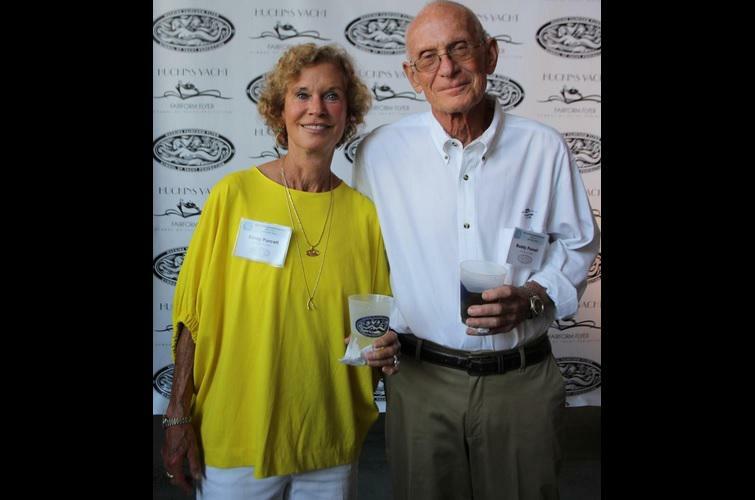 “At the time, my father and my grandfather’s original partner, Henry Baldwin, were running the boatyard,” she said. “Mr. Baldwin didn’t want anyone else on my father’s side of the family involved in the business, so we never thought we’d be part of it. Her husband, who had a degree in chemical engineering, got a job at Jacksonville company, while she got a job teaching math. 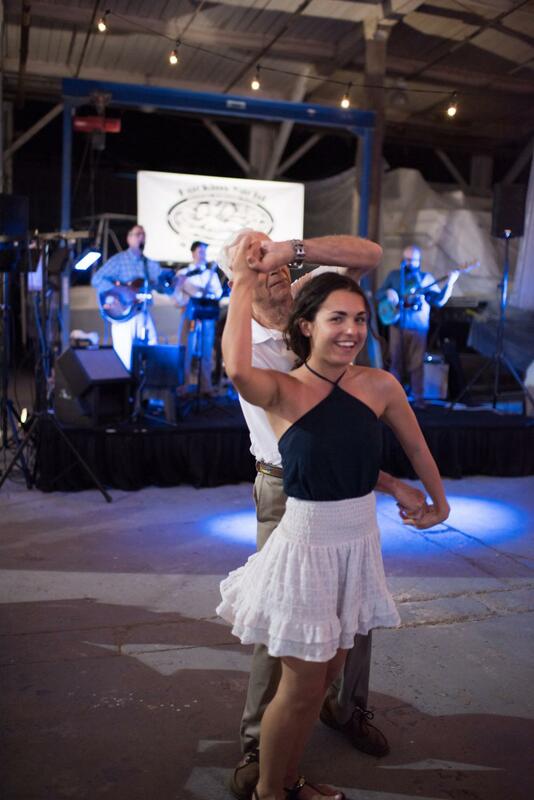 About two years later, with Baldwin aging and in ill health, her father approached Buddy about working at the company — starting on the ground floor as a worker. “He took a significant pay cut to do it, but we talked about it and basically lived off my salary while Buddy learned the business,” she said. The Purcells, along with her father, pooled their money together to purchase the company before Baldwin passed away. By about 1973, she had also joined the company. Since the war, Huckins Yacht has weathered several challenges to the company’s viability: the 10-percent luxury tax that included boats valued at more than $100,000 that went into law in 1991; changing trends and tastes among boat buyers; the introduction of fiberglass boats to the marketplace; and economic recessions, which always impact the makers of luxury items like boats, RVs and other ‘discretionary’ expenditures. What has kept the company afloat was moving from just repairing Huckins boats to repairing all kinds of boats. The couple was also fortunate that they made the decision not to expand and go into the full-scale production business for boats. Purcell says the 2008 Great Recession was the worst since she’s been at the helm of the company. She says the lack of people with the technical skills they need is one of their biggest challenges now. Purcell notes that in Europe, students must make the determination very early on whether they’re college material or need to go to a technical school. 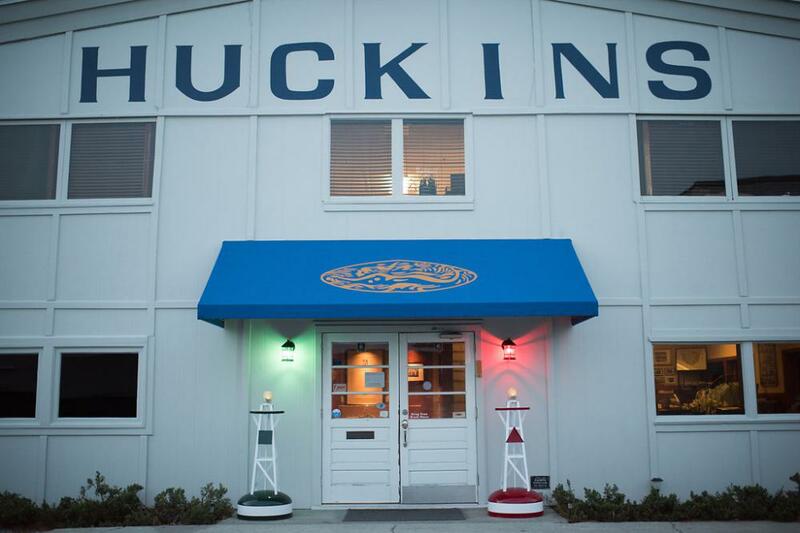 A devotion to a high level of quality is another reason Huckins is still in business today. 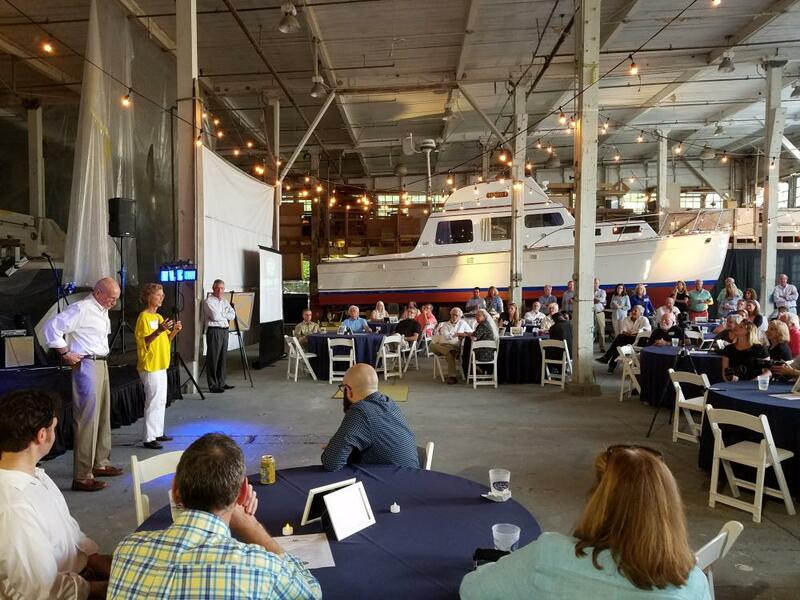 Employees are kept up-to-date with American Boat and Yacht Council training for certification in mechanical and electronics specifically for yachts. While mainly known for its classic-looking yachts, Huckins has built boats for sports fishermen and some non-classic boats. To build to the high level it does, Purcell says not only do the people need to be qualified, but it’s also important to create a team that works well together. “You’ve got to have a good working team to stay on quality and do each job absolutely right,” she said.